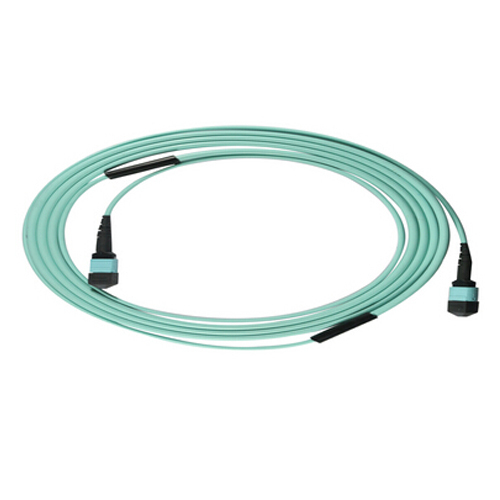 Combining 12~144 fiber trunk cable with 12F MPO/MTP and generic connectors, Wiitek’s trunk cable assemblies contain MPO to MPO and MPO hybrid types. Plug and Play Reels, Pulling eye are designed to be quickly pulled and connected to Plug and Play Modules and Adapter Plates. Customized configurable to precise application requirements, these reels or pulling eye are efficiently put high-performance, high-density fiber connections exactly where you need them. MPO / MTP connector or MPO hybrid interface patchcord. Available from 12 to 144 fiber Trunk cable, counts in increments of 12 fibers. Available in multi-mode (62.5/125, 10G OM2 / OM3 / OM4, Bend-insensitive fiber, etc.) and single-mode (G652D, G657A1 etc.) fiber types. Generic connector interface available in Simplex or Duplex LC, SC, etc. Customized dual shelf reel and pulling eye keep connectivity protected during payout. Comply with Telcordia GR-1435-CORE, GR-326-CORE, RoHS. For installation in horizontal patch extension from consolidation point to the workstation outlets.